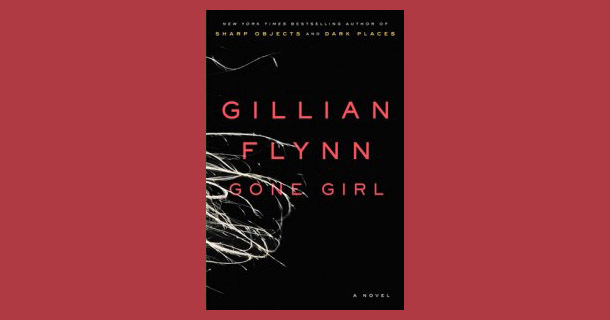 This post is inspired by the captivating mystery thriller Gone Girl by Gillian Flynn. They may not have the perfect marriage, but after Amy (of the hugely popular children’s book series Amazing Amy) goes missing, her husband, Nick, becomes the number one suspect. Can he discover what happened before it’s too late? Join From Left to Write on June 12th as we write posts inspired by the book. As a member, I received (and really enjoyed!) a copy that now has wrinkled pages and smells of sunscreen. It’s a funny thing being the main character of a story. Because the author gets to decide if you’re the good guy. (Or the bad guy.) And while this isn’t a book, just a simple blog, it is made up of characters. In the case of Using Our Words, the main character happens to be the author too. I get to choose what I share. And don’t share. What you read shapes your perception of me. Of my family. Of course some of you know me. In real life. And have seen me yell at my kids and panic over every little lump, bump and fever. You read through your own lens of who I am to you. But some of you just read. And believe. Believe that when things get stressful my first reaction is to turn on some great teeny bopper music and dance it out. Believe that I find everything my little characters say to be hilarious, precocious and sweet. Believe that I love deeply, laugh hard and—most importantly—am a lot like you. And as the author—the main character—I like to believe all those things too. It’s not that I’m trying to hide my faults and show you a made-up, fictional version of me. 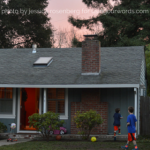 It’s that this blog gives me the chance to think about the girl—the mom, the wife, the daughter, the friend—I aspire to be. When I write, (for the most part), there’s nobody screaming from the bathroom asking me to hold their hand while they push. There’s nobody pulling Pink by her legs to get her away from their toys. There’s nobody threatening to hit someone else in the face, then hitting them in the face, then claiming they didn’t hit anyone in the face. 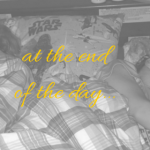 There’s no tired, frustrated mom making threats, using too sharp a tone, rolling eyes and glancing at the clock praying bedtime is fast approaching. There’s quiet. There’s reflection. There’s hope. There’s me. The me I want to be. The me who thinks, enjoys, appreciates, dances, laughs, loves. I am not Amazing Amy. Just plain old Amy. Who does my best to be honest, transparent, relateable, kind and loving. And hopefully that character—the real me—is someone you want to keep reading about. I wish I could be amazing me and amazing mom, but we can only be our imperfect, but awesome selves! I think THIS Amy sounds amazing and I want to know her! Writing is always at its most interesting when it’s distilled down to it’s most poignant moments. Being able to do so, makes you amazing. That’s a lovely thought. Thank you! You’re wonderful just as you are!! You are amazing, compare yourself to the Amy in the book and aren’t you an amazingly saner, nicer, better human being than her? Or if you want to think of amazing as a psychopath like Amy in the book, then it’s better not to be amazing! I’m afraid she set the bar rather low…but I’ll take it!